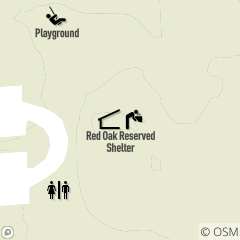 Red Oak Shelter is located at the end of Mill Creek Lane, off the Broadway Avenue entrance of Garfield Park Reservation in Garfield Heights. Features: large open shelter with electricity, picnic tables, grills, water, and swings nearby. Reservable May through October, daily. For reservations or more information, call 216.635.3304 Monday through Friday, 8:30 a.m. to 4:30 p.m.